SK Developers Launching Another Projects in Chennai . Below is the site details of SAI LINGA NAGAR in VILLIYAMPAKKAM - ON Road, Near CHENGALPATTU Chennai. Rate Rs- 699.00 Net Per Square Feet. 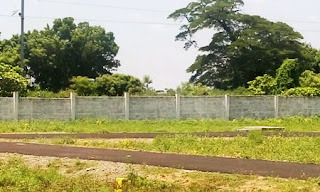 Plots are starting from 600 Square Feet to 1500 Square feet with a total of 158 Plots at the layout. Located on Chengalpattu - Villiyampakkam road with 6 KM distance from Chengalpattu junction. From 6Km chengalpattu Medical College Hospital & Law College. Villiyampakkam Railway station &Bus stop State Highway from Chengalpattu to Kanchipuram is at 100 Mts distance. Located 4 KM away from Sare Homes project on the same road. Sare Homes project consist of housing villas, apartments, schools, shopping mall etc. 20 KM exactly from Guduvanchery (Chennai ) to the layout. Fom 10min Mahindra World City, Oragadam Hub all are easily accessible from the project. Government Hospital, School at walking distance from the layout. Eassy Approch to Mahindra City,Ford & Biggest residential complex Hiranandani 480acers., 2000 Villa Projects & Sare Homes Township 66 acres.. This is Direct owner Property.